With PyxelEdit: 3D Viewer, you can display 2D sprites from pyxel edit on fake 3D. The viewer update only the files if you saved the Pyxel Edit files (Strg+S). There is many settings like set to pixelated, fix edges (while you're scaling up), pin the window (so the window show on foreground for ever), etc. 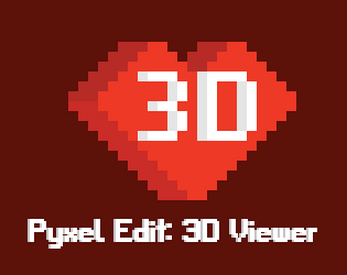 You're abled to switch the 3D object with arrow keys/A and D keys by using animations features on Pyxel Edit. Layers and Alpha (from the layers) does support, too! And yes, you're abled to resize window, too! 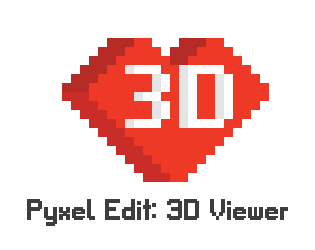 And all thanks to YoYoGames for their beatiful software called "Game Maker: Studio"! Cyan Button: Open other .pyxel files.